EDINBURG — Attorneys representing the Hidalgo County Drainage District filed a notice of nonsuit in its federal claims case against Integ Corporation, effectively delaying potential legal action against the company once hired to manage the district until the appeals process involving state claims is resolved. The notice of nonsuit pertains to claims that Integ Corporation, which is owned by Godfrey Garza Jr., violated the Racketeer Influenced Corrupt Organization (RICO) Act by engaging in bribery, fraud, money laundering and extortion. The claims were filed Jan. 24 as an amended part of the original 2017 lawsuit. 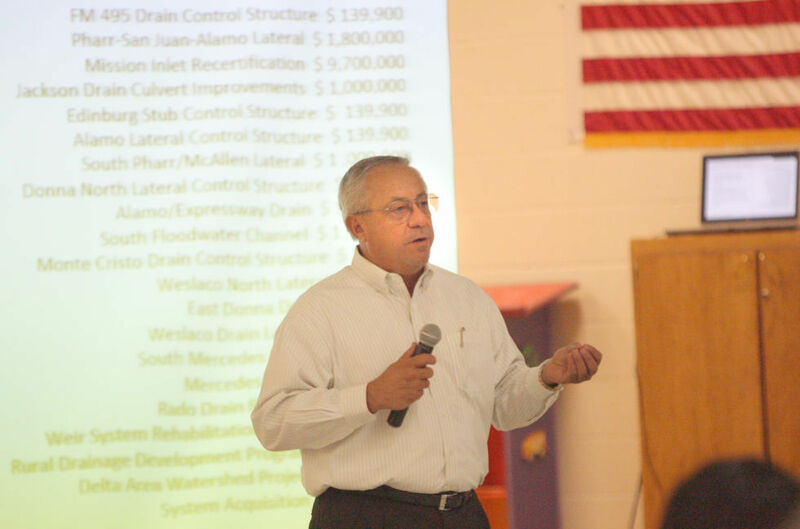 Integ was hired to manage county drainage projects and federally funded levee border wall projects, and — per the contract Garza negotiated with the Hidalgo County Commissioners Court in 2007 — received 1.5 percent of every dollar spent by the district. The district, of which county commissioners serve as board members, alleges in its suit that Garza and his family made $3.7 million off these projects, while Garza’s attorney maintains Integ was paid correctly under the contract. As Judge Martin Chiuminatto, a visiting judge appointed to hear the case, has yet to sign any of the orders he made during a Jan. 31 hearing, the drainage district cannot appeal until the orders are signed. These include orders of summary judgment that dismissed the drainage district’s state claims against Integ, Garza, and Garza’s wife and sons, that include breach of contract, fraud, conspiracy and unjust enrichment, among others. Following the notice of nonsuit, which was filed late Monday afternoon, the attorney representing Integ and Garza, issued a press release celebrating the dismissal of “the final claim” against his client and the end of the legal actions against them. “The facts cited in the racketeering claim were based on the same facts that the judge said last week did not exist,” attorney Ethan Shaw said in the release, referencing Chiuminatto’s Jan. 31 ruling. “The nonsuit filed by the drainage district’s attorney was not an indication that the district has waned on its commitment to justice and the recovery of the stolen taxpayer monies, it was simply a procedural move done as the district contemplated its legal options,” Garcia’s statement continued. The attorneys hired by the district are working under contingency, and hence will only be paid if the district recovers damages. “The only way to recover the funds taken is to continue to litigate this case in the court system,” Garcia’s statement reads, further claiming that $8 million in taxpayer monies were “wrongfully” taken by the defendants. If the 13th Court of Appeals upholds Chiuminatto’s decision, the drainage district could still file the federal claims against Integ and Garza given that the nonsuit is without prejudice, meaning that the district is voluntarily dismissing the case but reserving the right to re-file it at a later date. The district “will take all other necessary legal actions required to protect the District,” Garcia said.